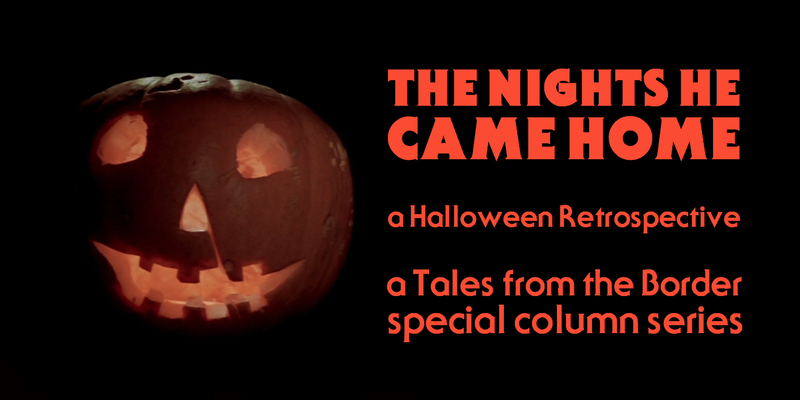 Welcome to the third part of The Nights He Came Home – A Halloween Retrospective! Over the course of October this new special column, in which I revisit all of the original Halloween films in anticipation of that most spooky season, will be running every Monday and Thursday. Then, beginning on the 26th of October, daily posts with the unifying theme of the horror genre will be posted, leading up to an article on my choice of the 10 greatest horror films ever made. Today we examine the controversial Halloween III: Season of the Witch (1982), infamous for being the only film in the franchise without Michael Myers. For previous entries in this series, click here. The concept was brave but ultimately ill-executed. Producers John Carpenter and Debra Hill envisioned transforming the Halloween franchise into an anthology series of films set on the date of Halloween. It’s an interesting idea, and could’ve been like a large-budget The Twilight Zone. Unfortunately Season of the Witch fails to entertain or scare. Rather, it commits the worst crime a film is capable of – that of being boring. If it had at least been bad it would have been memorable, but I can’t think that in two or three years time I’ll even remember much of Season of the Witch. After a man is hunted by mysterious suited men, and finally executed in hospital his doctor, Dan Challis (Tom Atkins), decides to investigate the murder with the help of the man’s daughter, Ellie Grimbridge (Stacey Nelkin). Their investigation draws them to the owner of Silver Shamrock Novelties Company, who have been making a bunch of popular Halloween masks for children. Together they uncover a plot to sacrifice children with these masks to resurrect the true nature of the Gaelic festival Samhain. Tom Atkins is enjoyable if plain as the film’s lead. It sounds spooky enough, but ultimately outside of three or four intensely violent death scenes nothing is that gripping about Season of the Witch. It feels unnecessarily political with its take on large corporations. It doesn’t necessarily say anything other than “oooooh, they’re evil.” It’s a shame because something genuinely intelligent could have been made for this, but with nothing to say the political angle feels unexplored and therefore irrelevant to the events of the film. All of these problems are script-related. The story just offers very little suspense, and I don’t particularly care (or even like) the main characters of the story. There’s nothing that terrifying about Halloween masks and the film fails to find the kernel of horror that can be found in pagan rituals, so brilliantly explored in The Wicker Man (1973). The acting is pretty standard for an 80s horror film, nothing truly memorable here. Tom Atkins is enjoyable as Daniel Challis and Dan O’Herlihy exudes menace as Conal Cochran. Stacey Nelkin is a flat as Ellie Grimbridge, and there is absolutely zero chemistry between her and Atkins. Their romance is incredibly forced and because of this it’s just unbearably uncomfortable. Whilst Season of the Witch contains some briefly interesting imagery, the story behind that imagery is underwhelming. There are some minor, jarring connections to the original Halloween (1978) – it’s seen playing occasionally on television screens. This really took me out of the film. I hope it’s not something that’s repeated in future entries of the franchise. I don’t even know if I would classify the film as a horror. I think science-fiction thriller would be more apt. It’s an odd film and because of that it has some cult attention. But it is because it is odd that the film fails to find its identity – it doesn’t want to stick to preconceived notions of genre or storytelling but because of this it fails to truly grip anyone. The best element of the film is John Carpenter and Alan Howarth’s moody score, so wasted on this film. It’s a shame because it is really menacing and bleak in a way that the original Halloween score isn’t. The film grossed 14.4 million at the box office on a budget of 2.5 million, weak earnings compared to the success of the other two films. Critics also gave mostly negative reviews. Critic Jim Harper noted that the film would have been more successful had it not been released under the Halloween moniker; I’d disagree, as it’s such a forgettable experience. 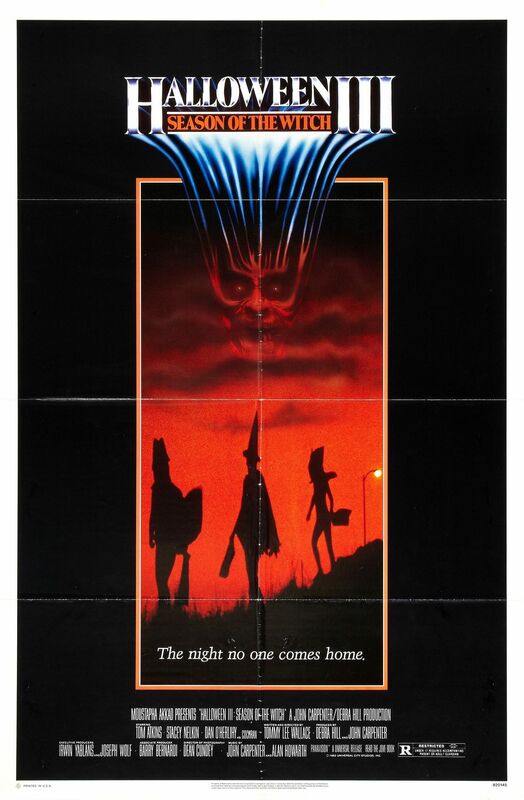 Ultimately Halloween III: Season of the Witch just doesn’t live up to the quality of the previous two films. It’s a failed attempt at an interesting experiment. Die-hard Halloween fans will want to watch this and perhaps enthusiasts of 80s horror cinema, but for the average filmgoer I can’t recommend it. Next time on The Nights He Came Home, we return to Haddonfield for more horrors with the Myers family. See you next time as we examine Halloween 4: The Return of Michael Myers!